When I find something good, I love to share it with my friends. Today I read Alyssa Avant’s ezine, and she recommended an ecover graphics generator site that is easy and inexpensive, My Ecover Maker. In fact, you can even do a free trial version – I love free! 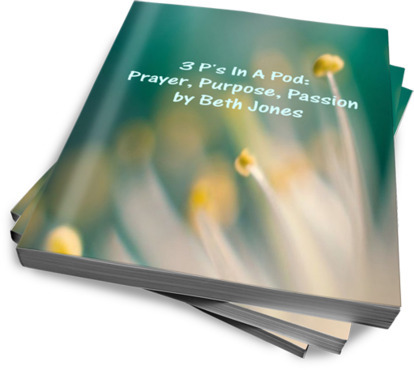 So I went ahead and tried it out, putting a new cover on my ebook, Prayer, Purpose and Passion. I think it’s prettier than the plain green one I had on there. What do you think? Like it or not? Leave your comments below. And I encourage you to buy my ebook while you’re there! 🙂 Be sure try My Ecover Maker for your ebooks and other info products, too! Kimberly, you are welcome ! I love it too, and am glad it was helpful for you! Beth, thanks so much for sharing this! I love it, and I love your new book design. I’ll definitely be using this site to make my next cover – it’s so easy!